I once won this giveaway some time ago. The sauces are pretty good. I never did you the salt rub though. Here's your chance to win them. Giveaway runs through 3/22 and is open to continental US residents only. Good luck. Three winners. 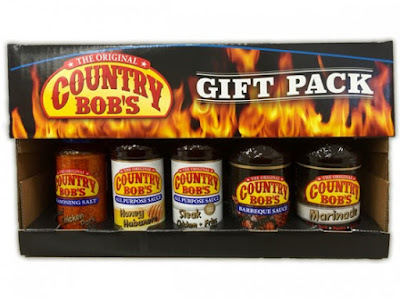 Holiday Contest and Sweeps is pleased to bring you another Country Bob's Sauce Giveaway. 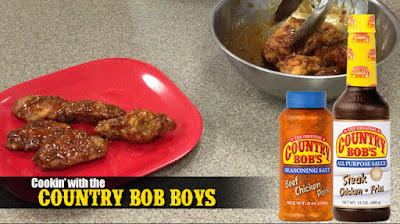 Country Bob's is the leader when it comes to mouth watering sauces that create a masterpiece when used on your meats and poultry. With Summer now upon us, it's time to fire up the Barbecue and create some amazing dishes with Country Bob's Sauces and Seasoning. Three lucky winners will each receive a Country Bob's Gift Pack of Assorted Sauces and Seasoning. 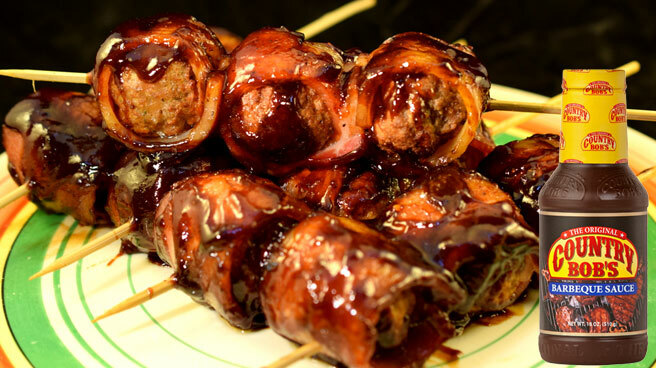 One great barbecue favorite is Chicken Wings and combined with the great flavor of Country Bob's Sauces Sauces you will be amazed at the flavor.Below you will find the link for Chipotle Bacon Bombs and BBQ Chicken Wings with Country Bob's Sauces and Seasoning Salt. Click Here To Visit The Country Bob's Website Today!